Searching For Concrete Overlays in Bryan TX? Find Great Concrete Products with Exquisite Concrete Design ! Did you know that concrete overlays in Bryan Texas can be used in many applications to repair and refurbish existing concrete construction? This is very useful in extending the life of the current structure, whether it be a highway or a backyard patio! What are some of the advantage of using a concrete overly? Extends life of current structure! Can create almost any design imaginable! 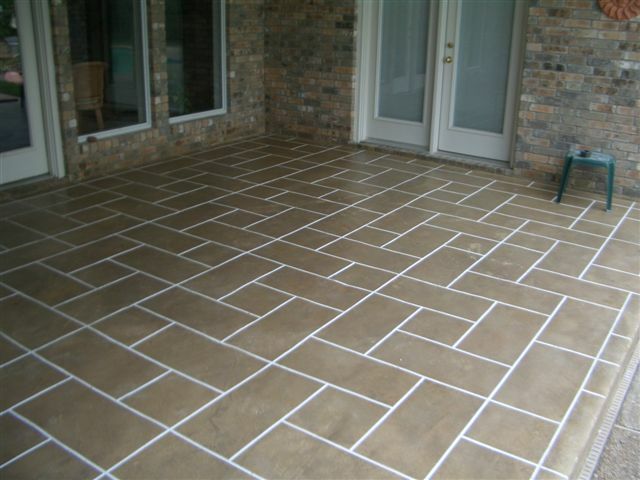 Don’t miss out on updating your patio – use concrete overlays in Bryan to breathe new life into old flooring. Ask the professionals at Exquisite Concrete Design to explore what they can do for your walkway, patio, or interior floors! Of all the companies that can provide concrete overlays in Bryan TX, why should you choose Exquisite Concrete Designs to handle your resurfacing project? Specializes in professional design and installation of concrete products! Takes pride in top quality work always! Creates one-of-a-kind works of art! For a unique look to your concrete overlays in Bryan Texas projects, call Exquisite Concrete Designs at (979) 218-0174 today for the help of experts in the field of concrete design!